Sunflower lecithin is not bad for you. The substance boasts a number of health benefits with very few reported negative side effects. The word lecithin typically foreshadows ideas of poor health thanks in part to the prevalence of soy lecithin in most processed foods. Sunflower lecithin is a totally different animal compared to soy lecithin, though. Sunflower lecithin is used in foods as an emulsifier and thickening agent, but for health benefits is often better consumed as a supplement. 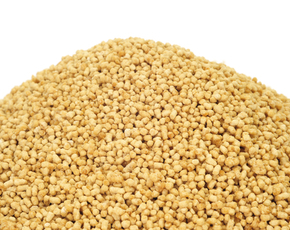 Lecithin has some great health benefits when made from the right sources. 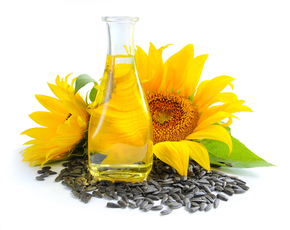 Sunflower lecithin is typically made from non-GMO and organic sunflower seeds. There are also very little reported allergic reactions or other adverse side effects to this substance. Sunflower lecithin has roughly 880 milligrams of linoleic acid, an omega 6 fatty acid responsible for a number health benefits when properly balanced with omega 3s. These benefits can include lowering cholesterol, decreasing the risk of cardiovascular disease, and improving cognitive, stress-related and nervous system disorders. Linoleic acid is also vital for assuring the body heal itself properly. 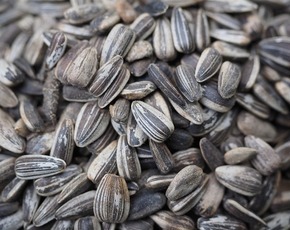 Sunflower lecithin contains the phospholipids phosphatidylcholine (PC), phosphatidylinositol (PI), and phosphatidylethanolamine (PE). 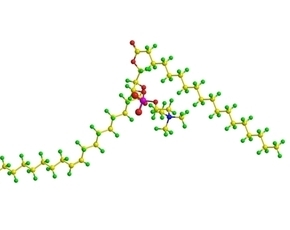 Sunflower lecithin contains equal parts PC and PI. Consuming foods with PC helps the cells process fats and supports the health of membranes, helping to minimize the degenerative brain effects of the aging process. PC also prevents gallstones. PI is found in all cells types but is most important to the brain tissue. PE is majorly important in building the foundation of the lipid layers of cells. It is also found in all aspects of the nervous system including the brain, nerves, neural tissue and spinal cord. 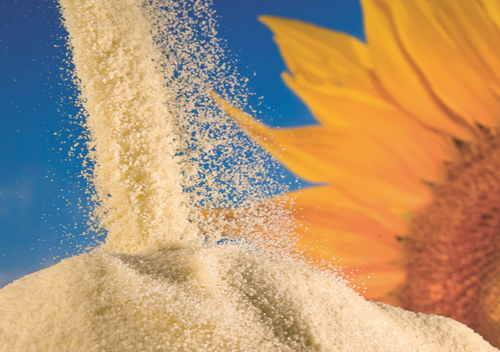 The cholesterol-lowering benefits of sunflower lecithin come from the substance choline. Choline acts like a vitamin in the body, very similar to B vitamins in fact. Choline also keeps the liver and brain healthy. Although the liver naturally makes some choline, it is essential to consume choline in foods to stay healthy.